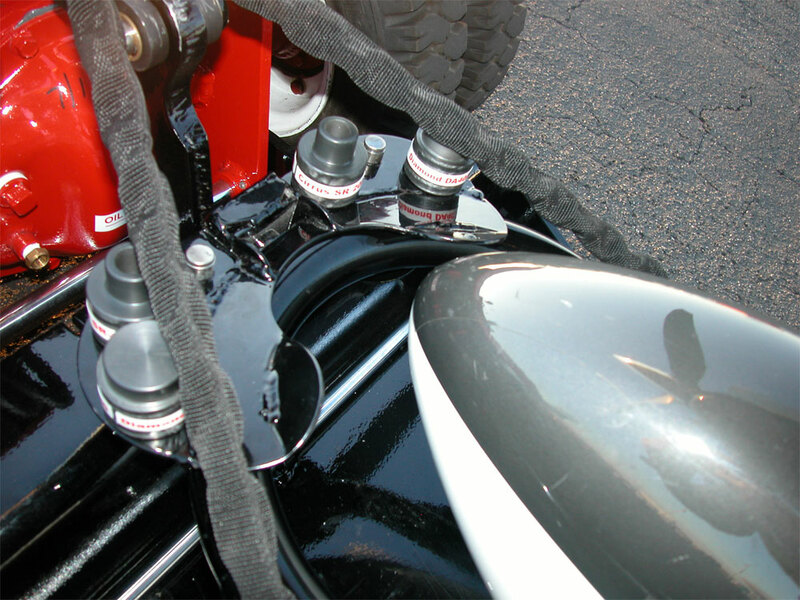 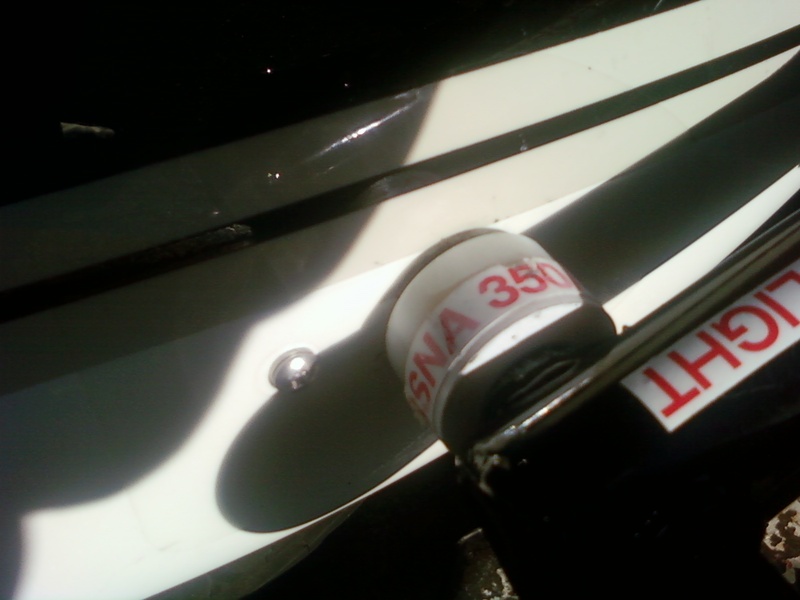 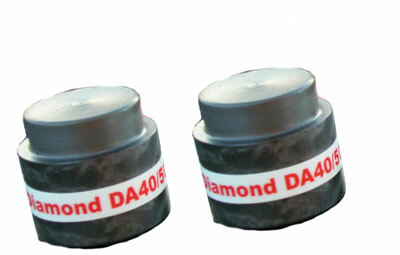 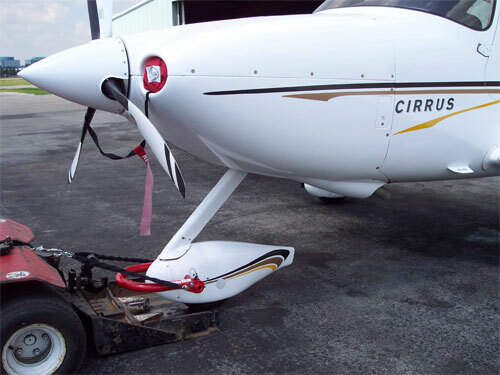 Pin caps allow Lektro owners to tow Cessna 304 and 400 aircraft with our Cantering Nose Landing Gear Adapter and Receiver. 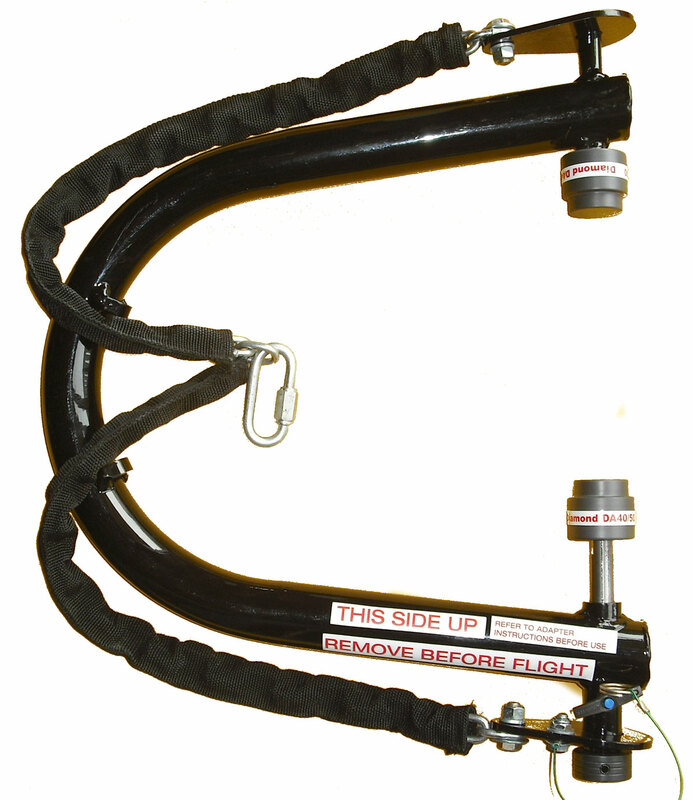 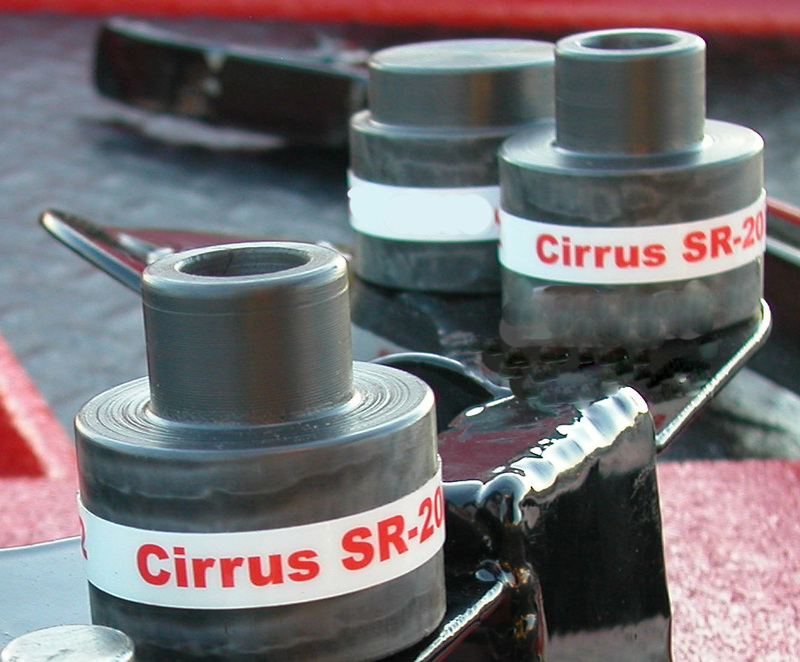 Works with our Adapter and Receiver to allow Lektro operators to tow Cirrus SR20 and SR22 aircraft. 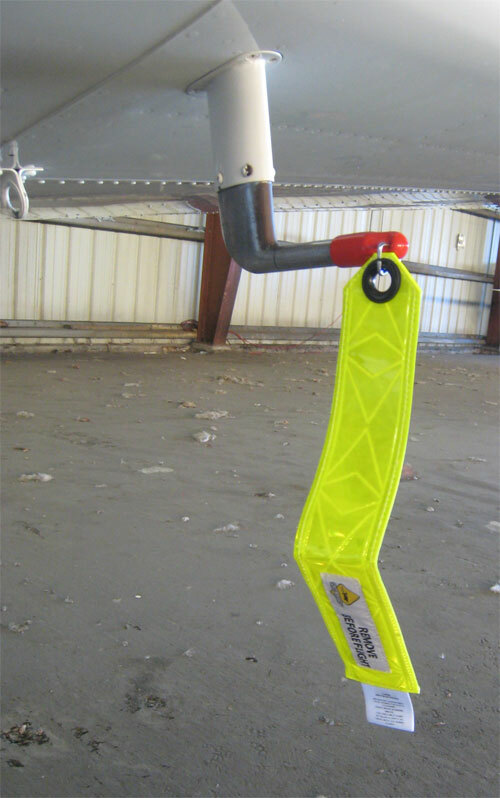 Forgetting to remove a faded, dull and worn out pitot cover can jeopardize the safety of you and your passengers. 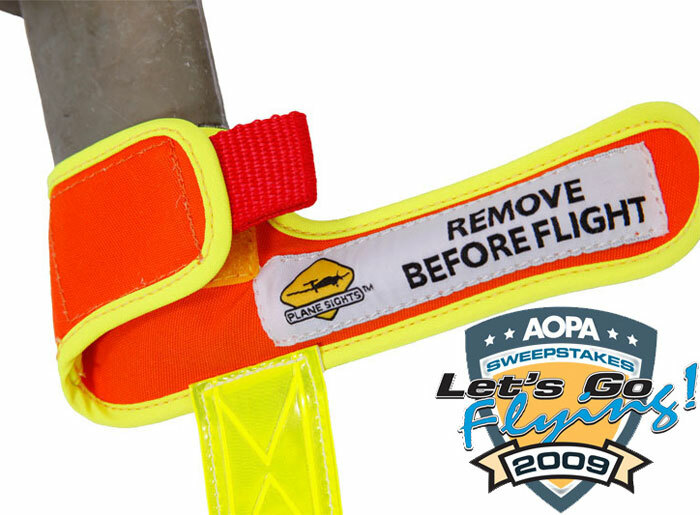 Our very durable 3/4” inside diameter vented plug with its unmistakable Plane Sights Remove-before-Flight Streamer provides a perfect easy-on, easy-off solution. 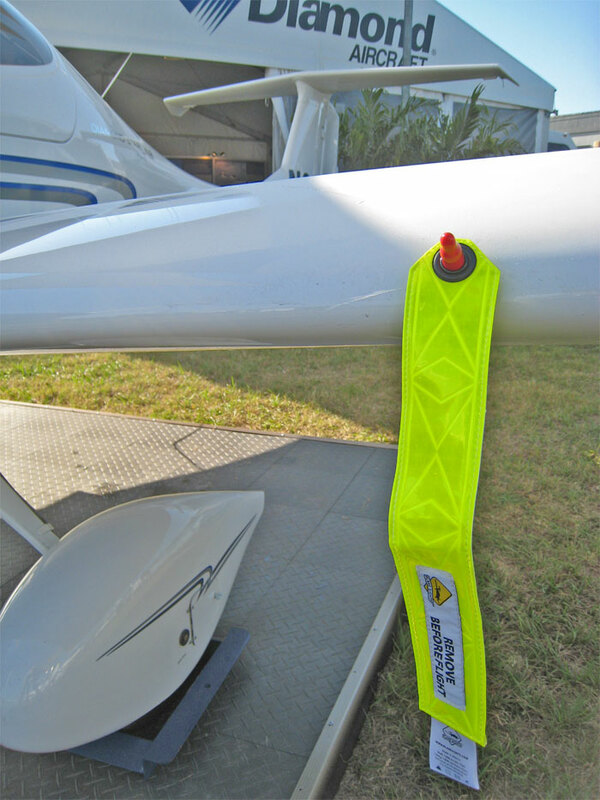 The new Redfab Receiver shortens the capture cycle and eliminates the risk of operators damaging cantering/wheel fairing nose landing gear equipped aircraft such as Cessna 350/400, Cessna 162, Cirrus SR20, Cirrus SR22, and Diamond DA40 and Grumman AA/AG. 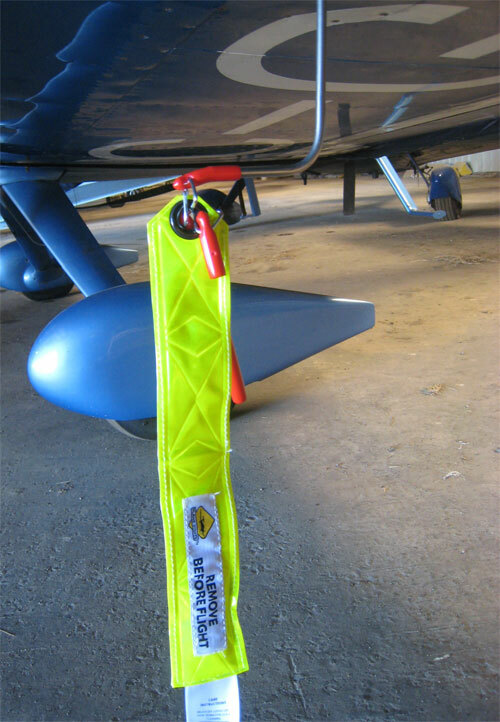 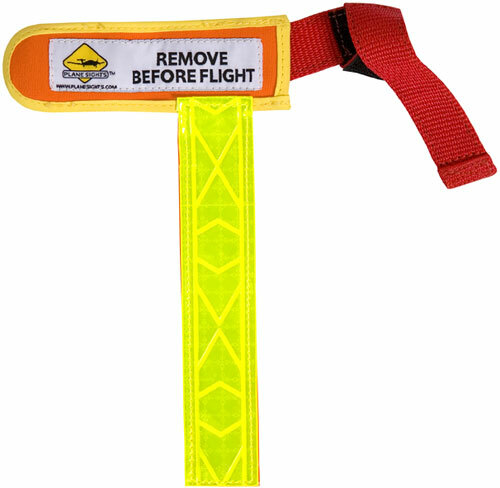 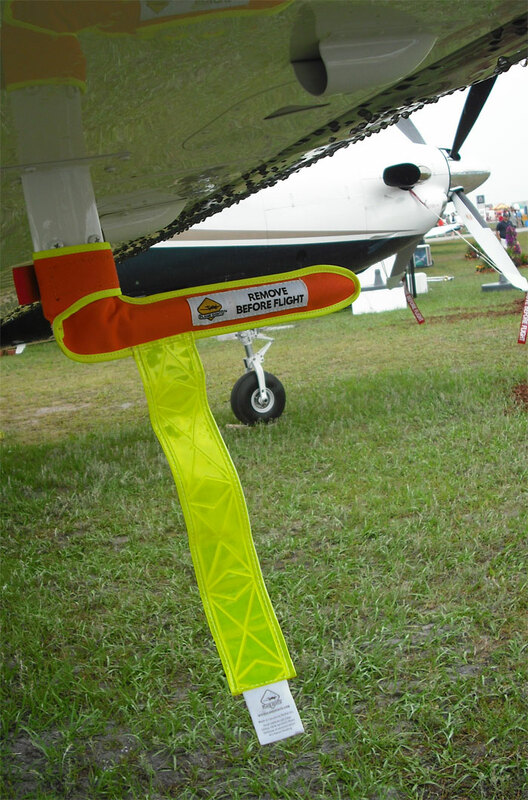 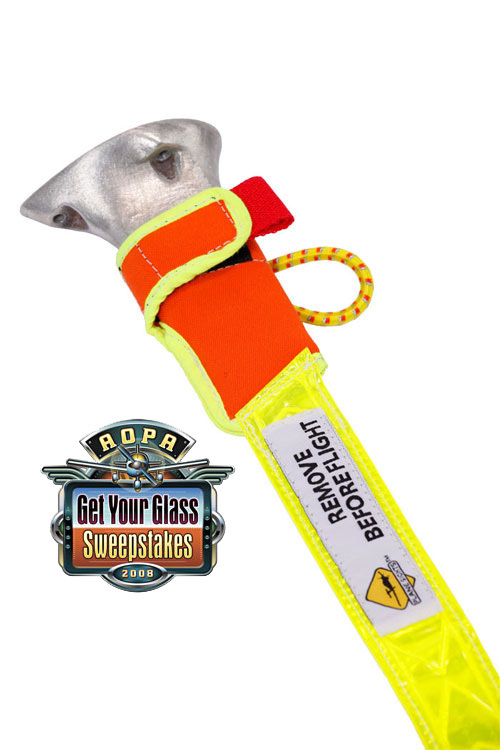 This durable, weather-resistant orange and yellow reflective cover fits virtually any size pitot tube. 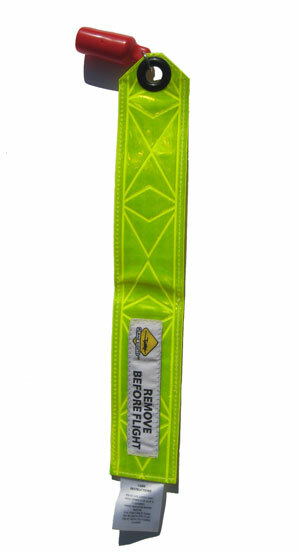 It stands out in daylight or darkness under all weather conditions, so it can’t be missed.